Many patients going through the dying process may experience a phenomenon known as "nearing death awareness". This is a special knowledge that a dying person has that death is near. Often times this awareness is overlooked by the patient's loved ones and health care providers and may even be mistaken for delirium or terminal restlessness. 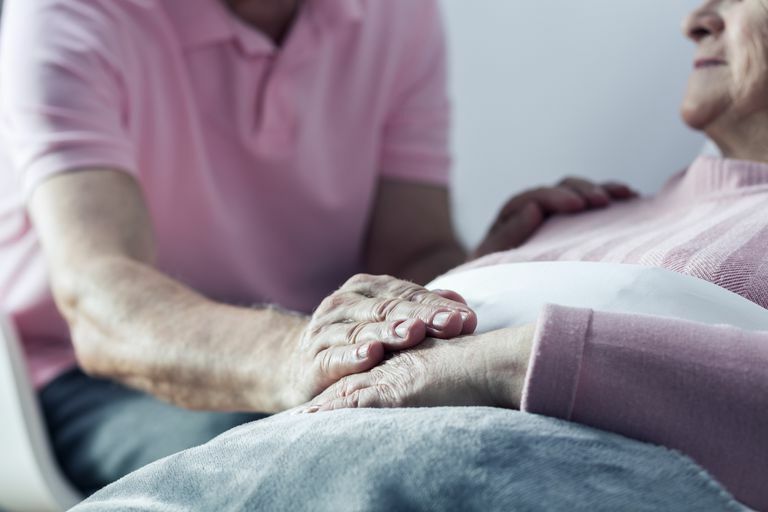 It's important to understand what nearing death awareness may look like and how it differs from delirium or terminal restlessness so you can support your loved one the best way possible. Hospice nurses Maggie Callanan and Patricia Kelley pioneered the idea of nearing death awareness through their work caring for the dying. They recognized signs that patients knew something was happening to them - that they somehow knew death was near, even though they couldn't explain it in terms most of us understand. They wrote about this special knowledge in their moving book Final Gifts. As a patient moves through the dying process, she may make statements or gestures that don't seem to make any sense. Others may label her as "delirious," "losing her mind," or "hallucinating." Medications may be given to treat what some doctors or nurses think is delirium. Family and friends may try to help by "baby talking" to soothe her or by trying to re-orient her to "reality" and discounting what she is saying. Some dying people speak of preparing for a journey or getting ready to leave. In Final Gifts, the authors tell the story of Laura who had a sudden change in her behavior which worried her husband. She had lost a daughter, Susan, years earlier and was now dying herself. Her husband, worried about her far away look and "confused" speech, called the hospice nurse. When she arrived, she asked Laura, "What's happening to you, Laura? Where have you been?" "It's time to get in line," Laura replied. Tell me more about the line," the nurse coaxed. "Is there anybody there you know?" "Susan is in the line," Laura said, breaking into a radiant smile, but continuing to stare into space. They continued to talk about the "line" and Laura shared that her husband could not go with her. She was preparing to leave Joe and reunite with Susan. What was initially discounted as "confused" behavior was actually Laura's way of telling her husband that she was preparing to die? An example I encountered in my own practice was a patient named Jose*. Jose was a 45-year-old man dying of kidney failure, a complication of unmanaged diabetes. When I visited Jose to admit him to hospice care, he asked me if I could find his tuxedo and get him dressed. His family told me, "Don't worry about that. He's been asking us to do that all day. He's just confused." I asked Jose what he needed his tuxedo for. "Are you planning to go somewhere special, Jose?" Jose replied, "Yes, I need my tuxedo on. It's time to go and I want to look my best. My bags are packed and I just need my tuxedo." Several hours later, Jose died. He was preparing for his "journey" toward death and wanted to look his best. What his family thought was confusion was actually something much more special. "By keeping open minds and by listening carefully to dying people, we can begin to understand messages they convey through symbol or suggestion. Often we can decipher essential information and in the deciphering relieve a dying person's anxiety and distress. By trying to understand, and therefore participate more fully in the events of dying, families and friends can gain comfort as well as important knowledge about what the experience of dying is like and what is needed to achieve a peaceful death." Through speech or actions, a dying person may be trying to convey to us their needs, wishes, or desires for a peaceful death. They may simply be preparing their loved ones for an event they cannot fully explain. It's important to carefully listen to what your dying loved is saying so you don't miss something important and special. This is a fairly common occurrence. Many families have shared with me that their dying loved one spoke of seeing deceased relatives or angels in their room. These "visions" are sometimes discounted as "hallucinations" but may be a significant sign that death is nearing. Seeing "heaven" or "a beautiful place" is another phenomena some dying patients experience, even the not so "religious" ones. Some may report having left their body and traveling to another place, others speak of having seen another place or simply "a light". I'll never forget Sue*. I admitted Sue to hospice 5 weeks before her 87th birthday. She had respiratory disease, was very short of breath, and didn't seem to me as though she had long to live. In gauging what she knew about her illness, I asked her what she thought was happening to her. "I'm dying," she replied plainly. "Do you have any sense how long you have left to live?" I asked. "Oh, I know exactly when I'll die - on my 87th birthday. It's only a few weeks away." I remember feeling sad for her because I didn't think she'd live longer that one or two weeks. Sue surprised me by living much longer than I expected and died in the early morning hours of her 87th birthday. If your loved one suddenly seems to be acting differently or seems confused in their speech and actions, don't immediately discount it as the medication talking or the disease causing confusion. Both scenarios are possible, but if you take the time to listen to and try to decipher what your loved one is saying, you might find another thing entirely is happening. However, always alert your hospice nurse to this new change so a proper evaluation can be done.